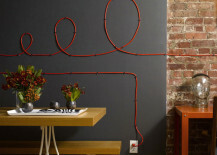 It’s as if everything comes with wires these days. 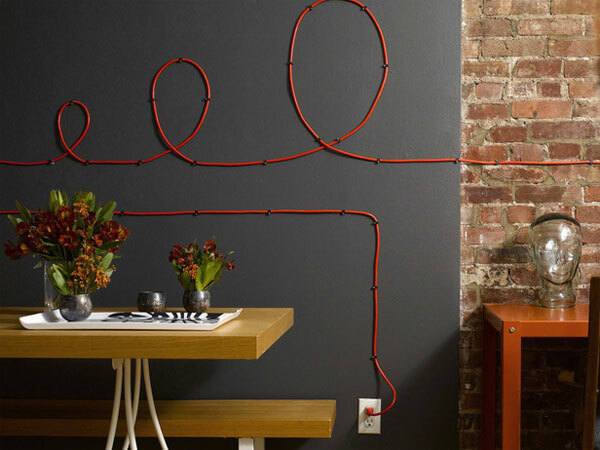 And the more electronics you want to put in a room, the harder it’s going to be to keep their cables and cords free from tangles and ideally out of sight as well. 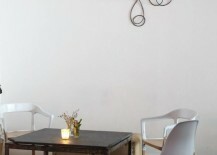 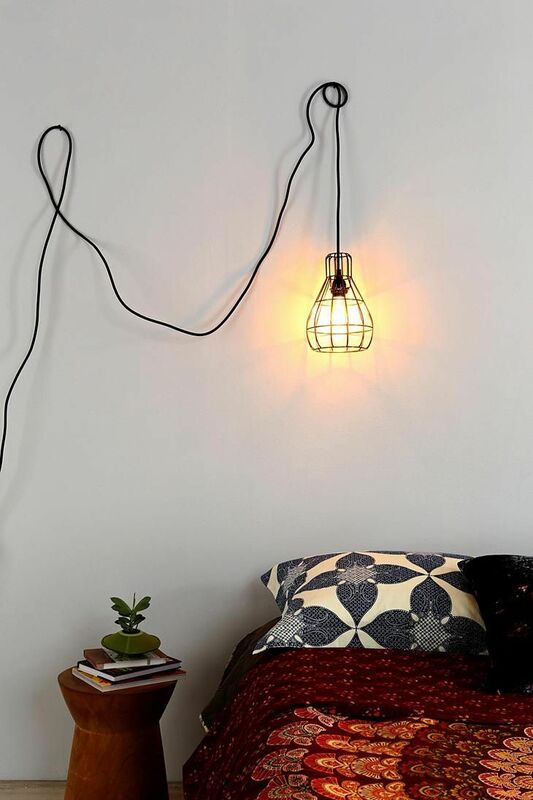 There’s nothing quite like seeing a pile of black wires stuffed in a corner or along the edge of a wall to ruin a well-decorated room’s whole look. 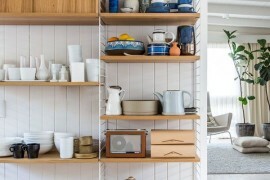 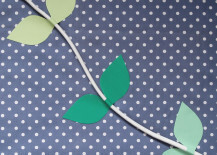 Tying them up as neatly as you can or figuring out how to store them in something might be the first strategies that come to mind, but why not take it as a new opportunity to get creative? 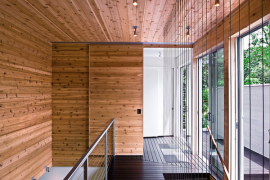 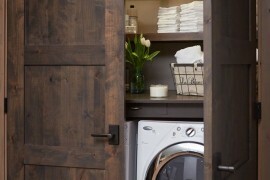 These homeowners sure did! 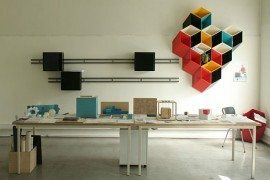 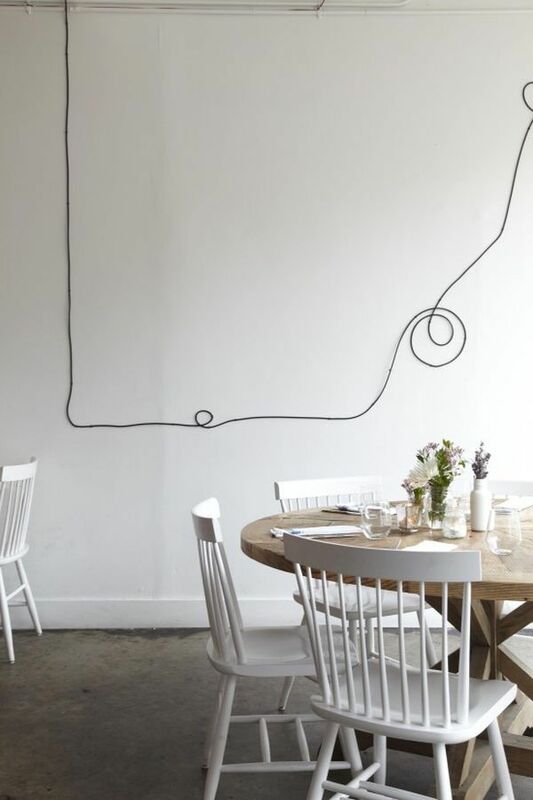 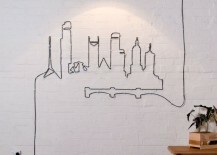 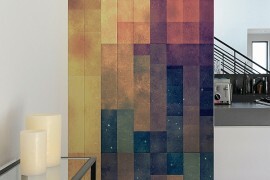 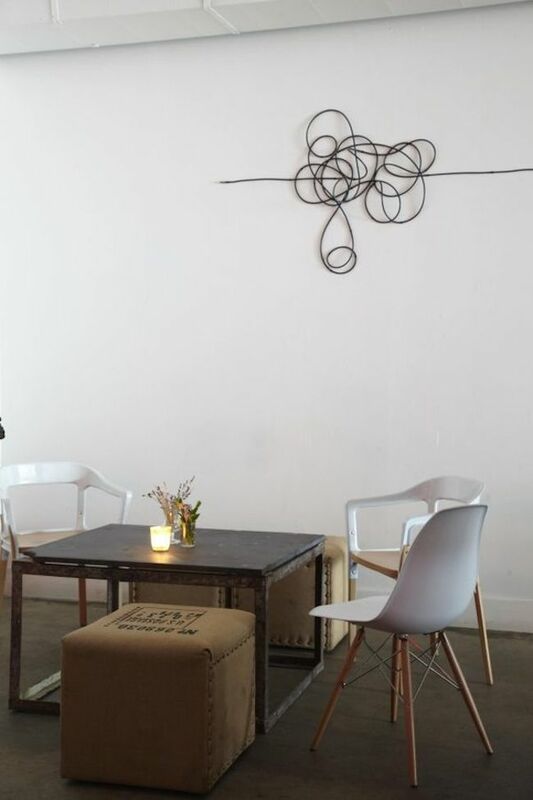 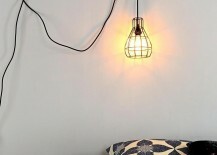 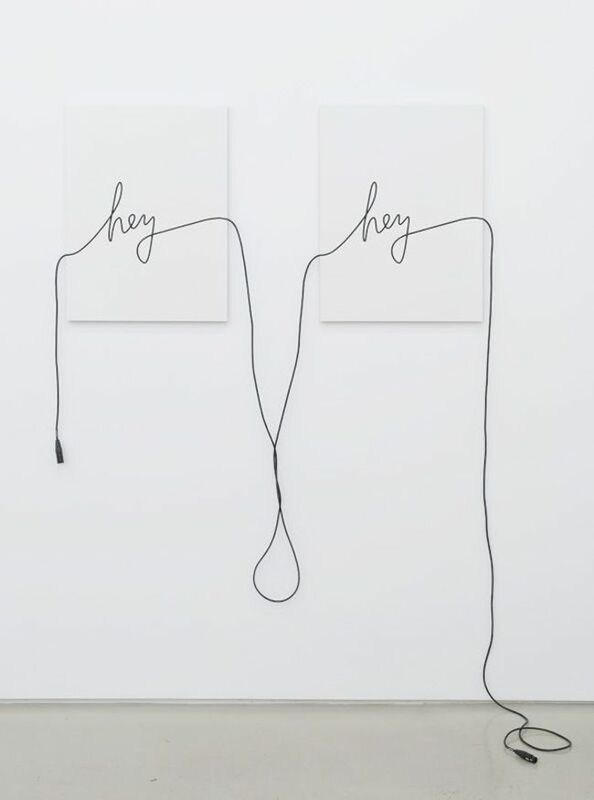 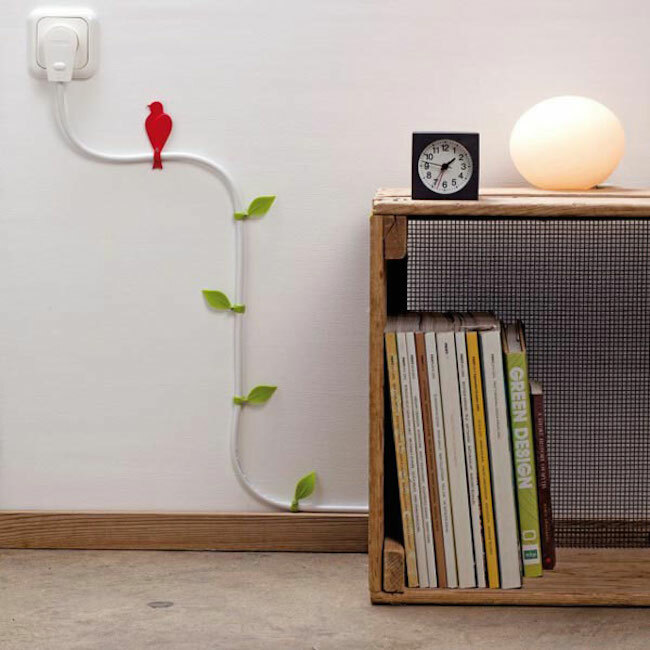 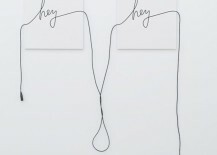 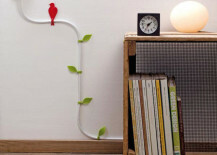 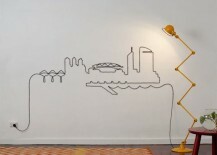 Check out these incredible wall art displays made from cables and cords that were lying around. 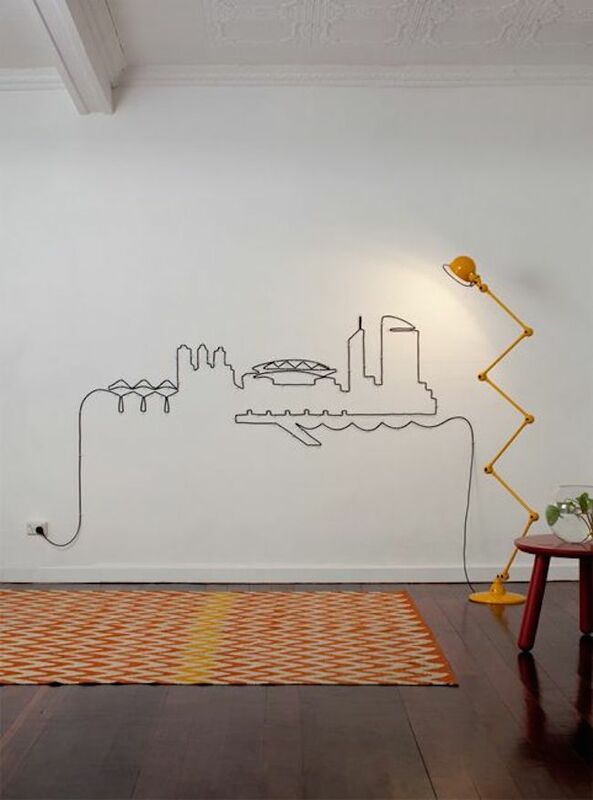 You can really let your imagination flow freely here to see what other types of images and designs you can create out of all the cables and cords you’ve got. 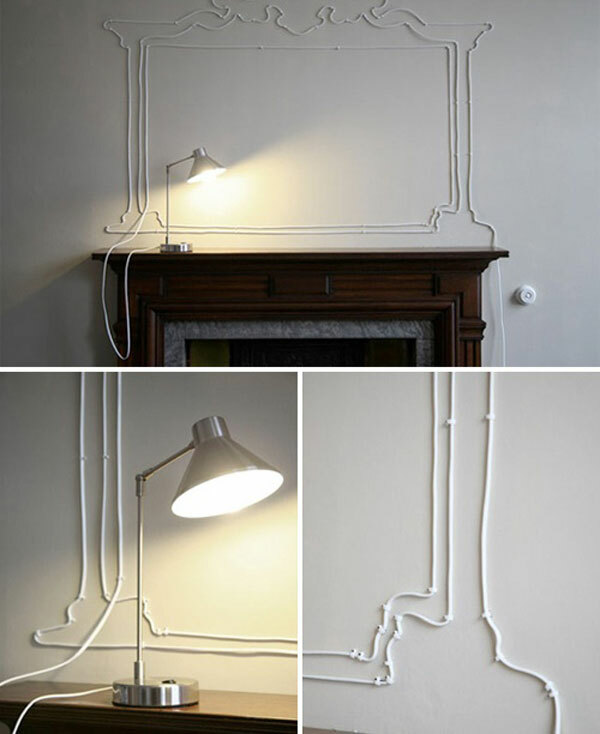 This one adds a nice decorative frame above a fireplace. 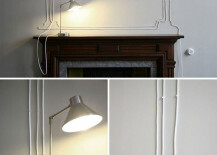 And how about those unsightly electrical sockets too? 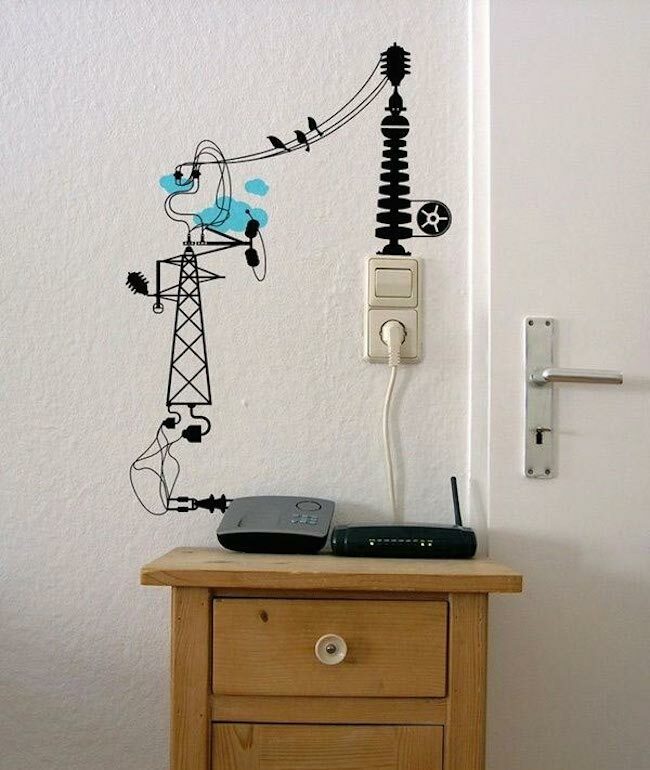 This homeowner painted an adorable little power plant design on the wall to make it more fun. 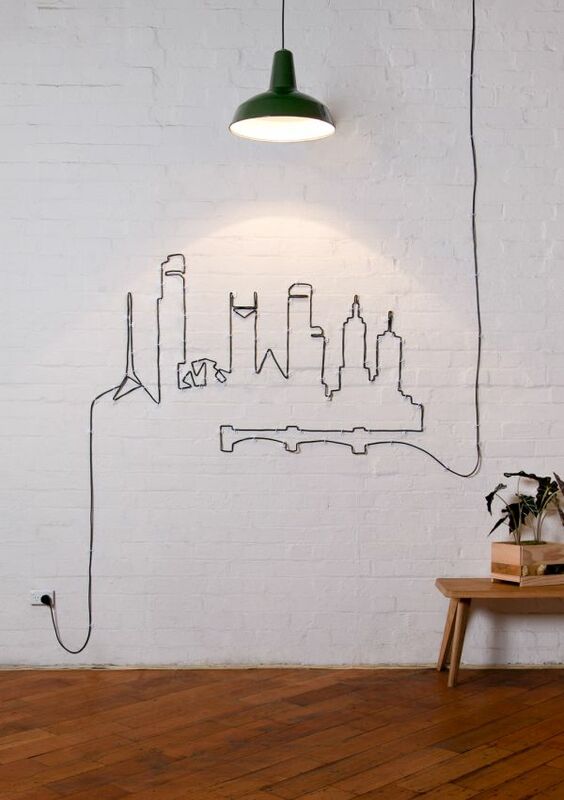 A detailed city skyline sure looks impressive, but you don’t necessarily need to get that elaborate to create a great look. 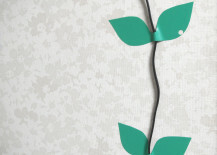 Most of these next few designs just keep it simple. 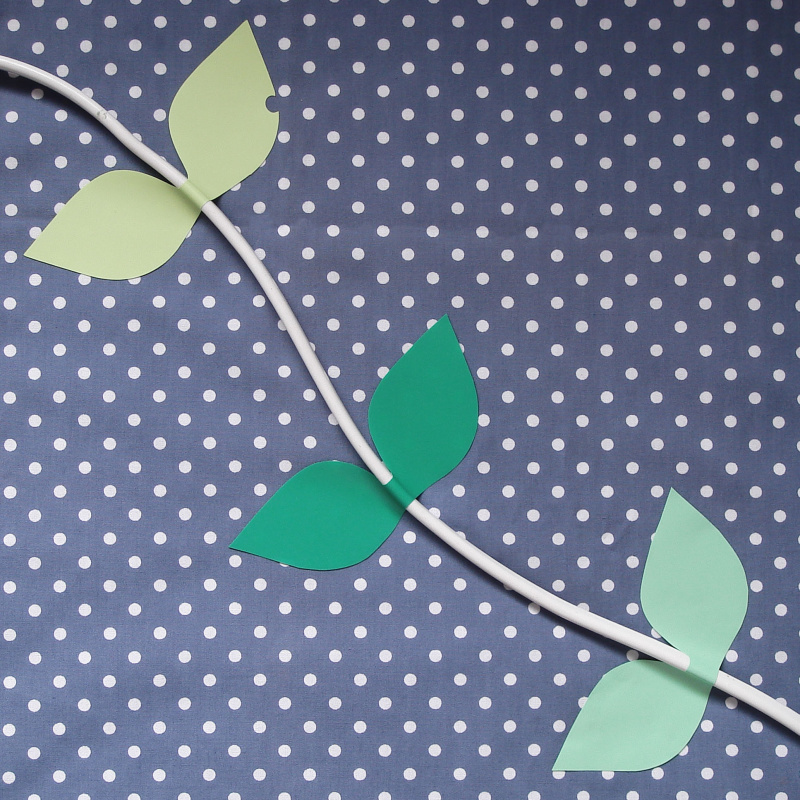 Have a go at writing a message with your wires, or experiment with some abstract shapes and designs. 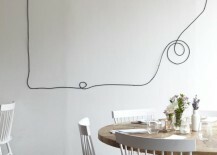 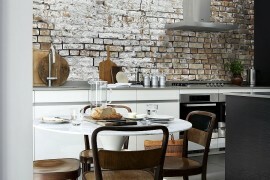 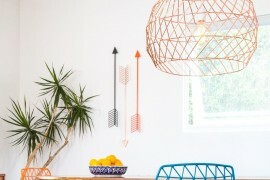 Even a wire strung casually across a wall brings an interesting look to the bare wall behind it. 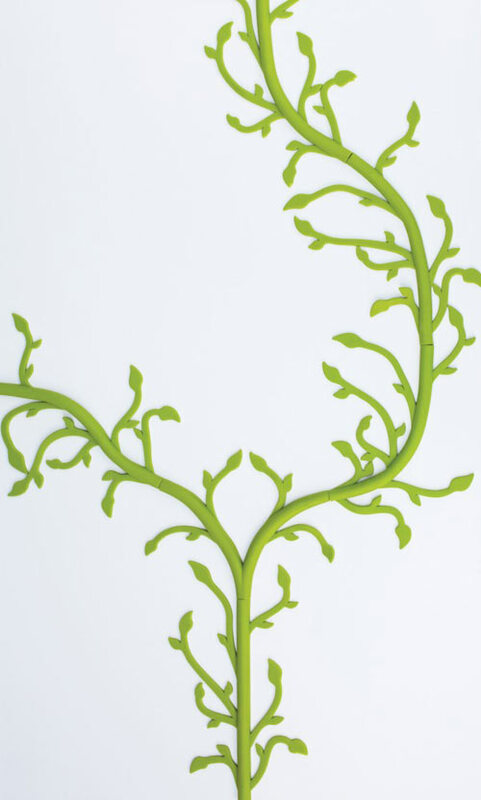 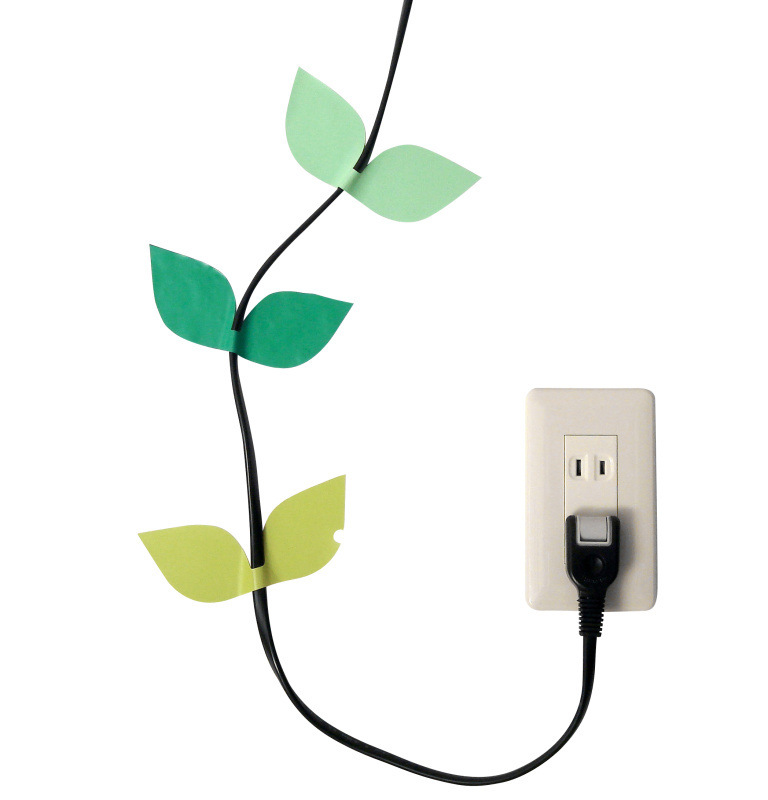 As an alternative option to stringing cables and cords all across your walls to form interesting images, shapes, and designs, you can turn them into leafy vines using clip-ons or stickers. 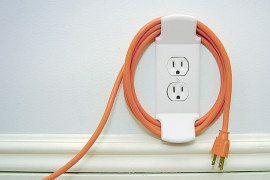 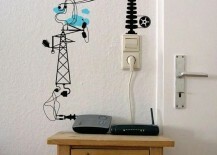 These stickers from Clippings.com actually help to secure your cable or cord to the wall so it stays in place. 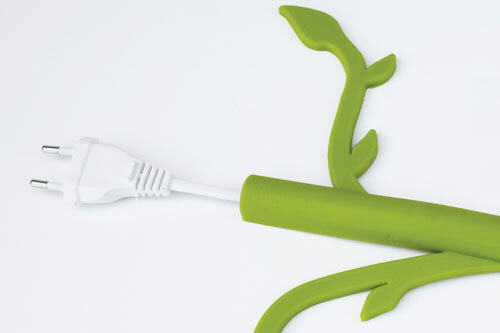 There are even vine-like products you can get that encase the entire cable or cord so it’s not even visible. 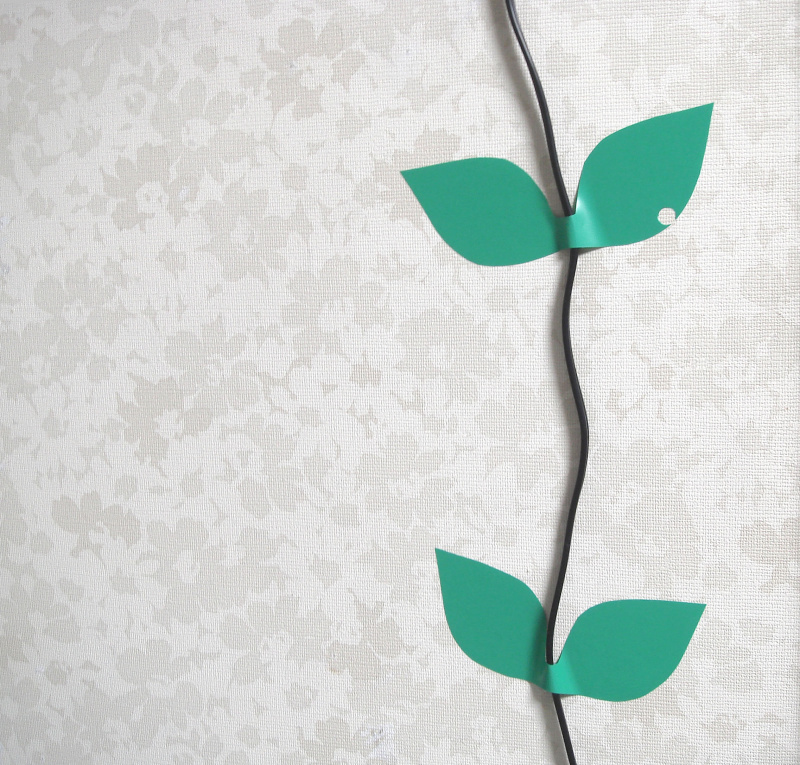 It turns the entire wire into a vine, leaving both ends functional to use for whatever needs to be powered up.